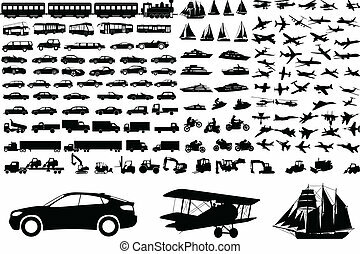 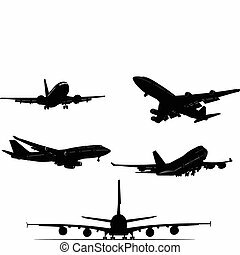 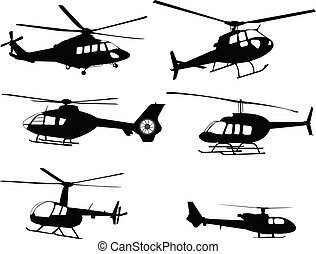 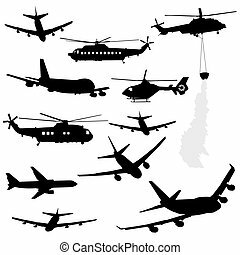 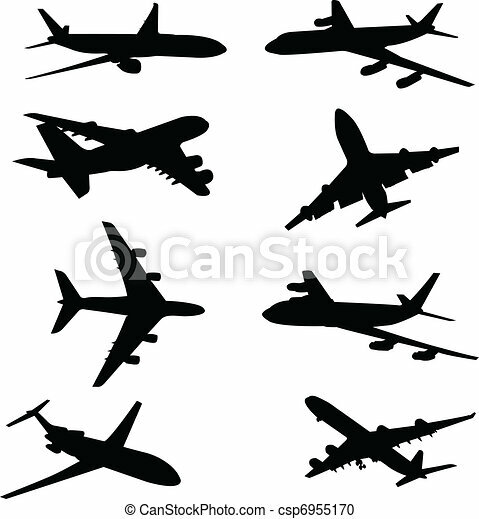 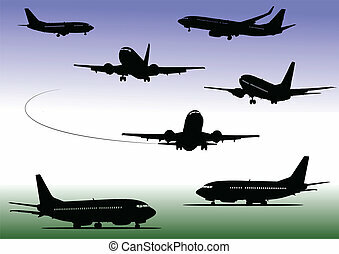 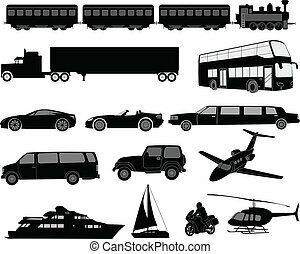 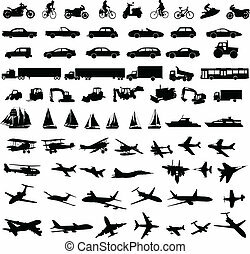 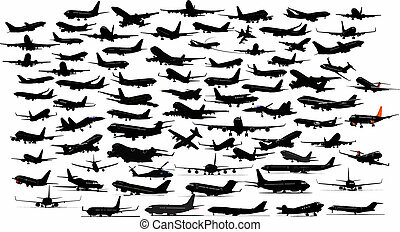 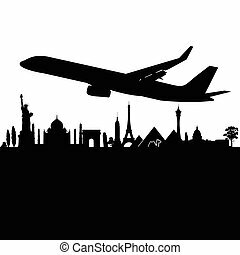 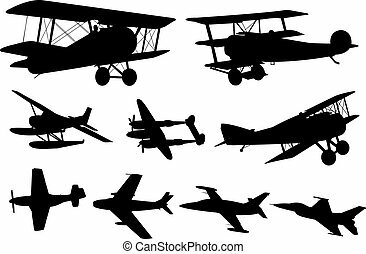 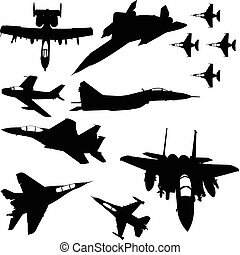 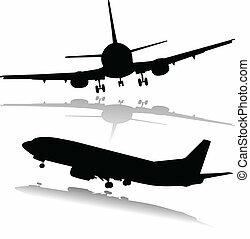 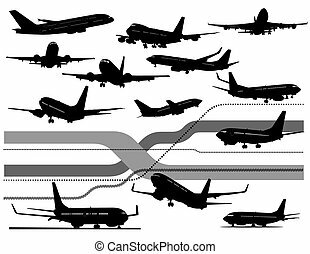 Airplane silhouettes collection - vector. 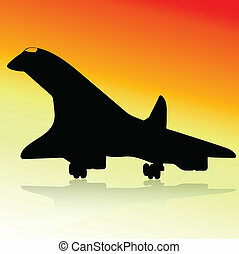 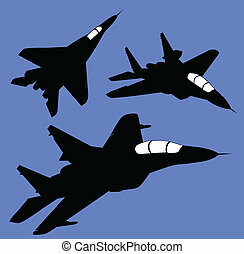 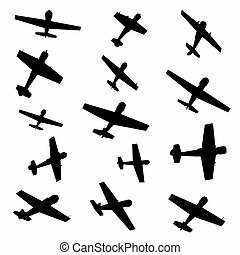 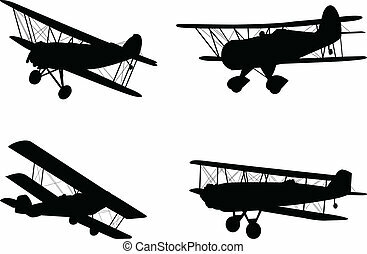 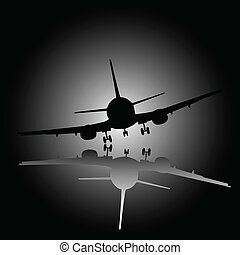 Flying planes - stylized vector illustration on black. 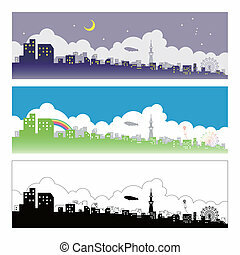 Outline, icon. 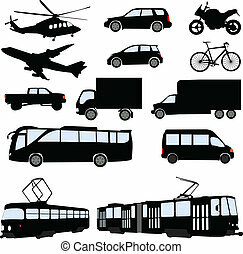 Isolated design element. 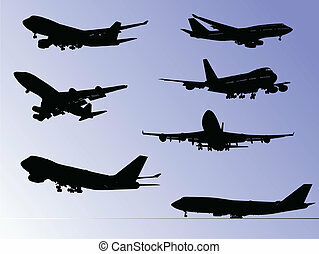 Airliner. 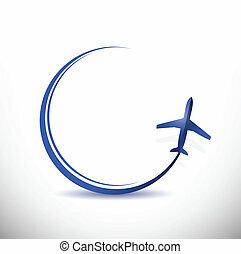 Can be used as logotype.